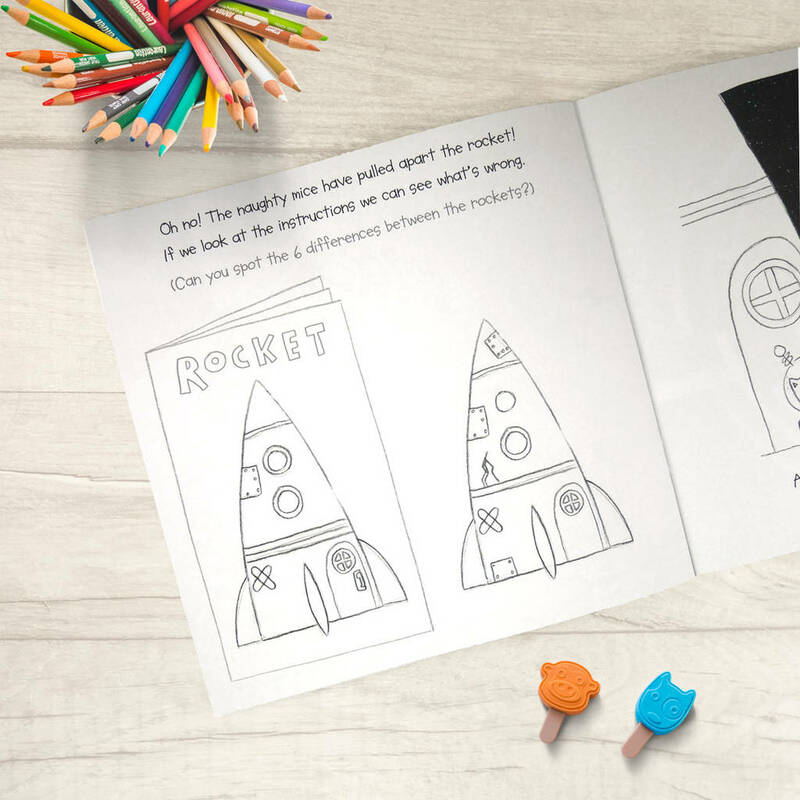 Children love stories, puzzles, and colouring and this story book is the best of them all! Weave your way through 24 pages crammed full of fantastic puzzles and colouring sections. Experience the delightful adventures of Steve as he travels through outer space. 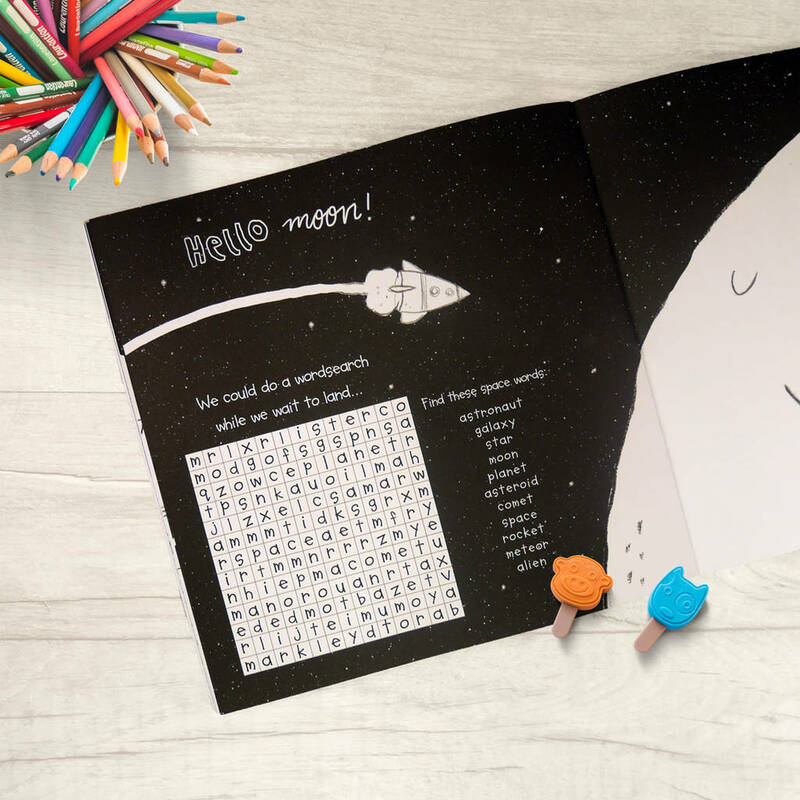 Discover the aliens he finds, solve the many puzzles he stumbles upon and take a break to colour in each page as you go. 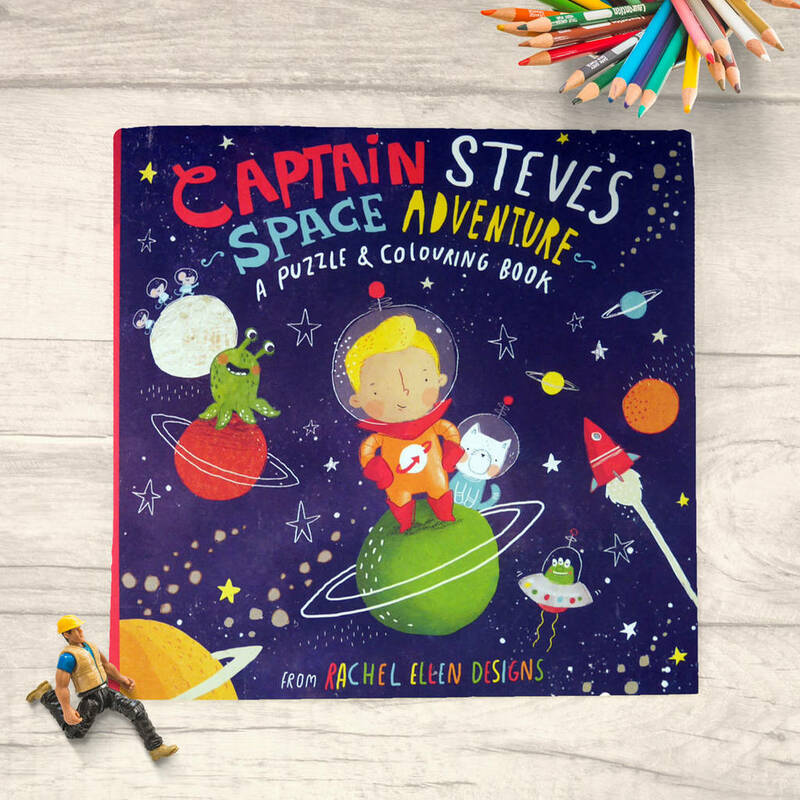 A wonderful story book, colouring book and puzzle book combined. Beautifully illustrated with thought and humour, this book is bound to spark your child's imagination. A great extra gift for the birthday girl and perfect gift to go with any of our sets of crayons.